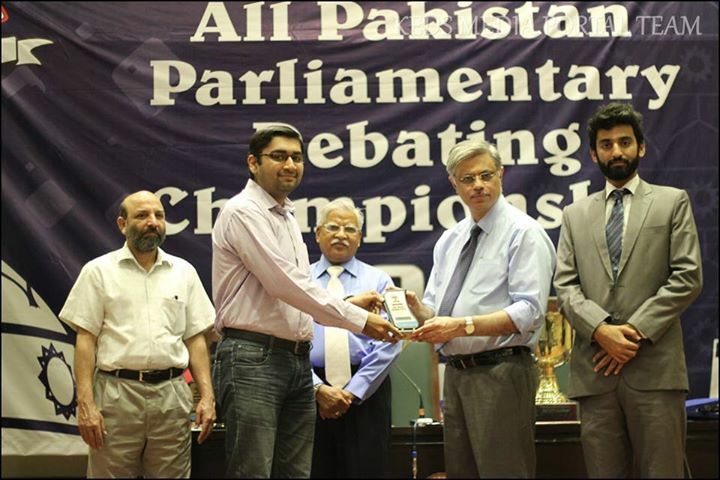 King Edward Medical College Championship was conducted on 21 to 23 May 2015 where Aneeq Sarwar, President Formanites Debating Society won the third consecutive Best Speaker award at King Edward Medical College Championship. 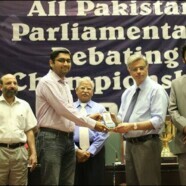 Best speaker award is given to only one person in each competition and Aneeq managed to bag his third consecutive English Best Speaker award at KE championship after successfully securing his first two best speaker awards at University of Agriculture, Faisalabad and University of Management and Technology. This is indeed a proud moment for us all and more importantly is a reflection of the commitment, zeal and talent of our debaters. We wish you the best for your upcoming future endeavors! FDS and FCC is proud of your achievement.